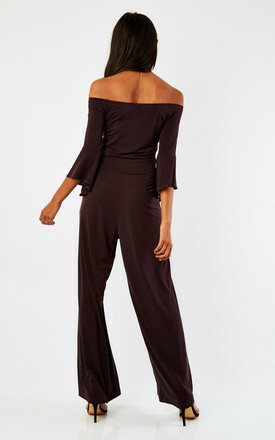 Lady Flare latest jumpsuit is a great new style. With its off the shoulder feature this is a fabulous style for that special event or night out. Made with a jersey stretch fabric for that great comfortable fit.